Enjoying the crisp, clean taste of bottled water has become a national habit. The bottled water industry expands with every year as more people opt to move away from the questionable content of the water flowing from their tap and invest in drinking water that they can trust. Some make this change after reading investigative reports on the various contaminants that make it beyond their municipal filtering systems, others simply because of off putting taste or smell of their tap water. No matter the reason, bottled water is no longer considered a luxury item. Instead of going out of their way on shopping trips to load up on this refreshing drinking water, people are making the smart financial choice of having the best rated bottled water delivered to their door. What makes the best rated bottled water from your local Colorado Springs water delivery company an affordable choice? Just take a simple glance at the various expenses that come along with individual bottles of water. When you pick up that pallet of name brand water most of your money is buying the packaging, labeling, and the bottle itself. The cost of the actual water contained within is mere pennies. There is also your personal expense in the form of labor carrying that water from the store and into your home, as well as the great environmental toll that each of those single bottles of water represents. Save yourself time and money by having delicious water delivered to your door and into your home by friendly yet professional delivery staff. Instead of cluttering up your living space with empty bottles of water you can make the choice to buy or rent the best rated bottled water stands or coolers that will compliment your home. When you choose to rent your bottled water equipment there is also the peace of mind that comes with knowing that your company will handle all maintenance, as well as repairs. Making sure that the water that your loved ones are consuming is the best rated bottled water is an important part of looking after their health and wellbeing. Adding more pure, refreshing water is a vital part of anyone’s diet as this offers a number of positive health benefits. 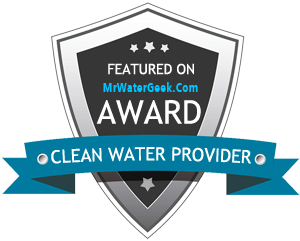 When you look at the considerable savings across the board, it is easy to see why so many of your friends and neighbors have also made the switch to getting their bottled water from Clearly Colorado!